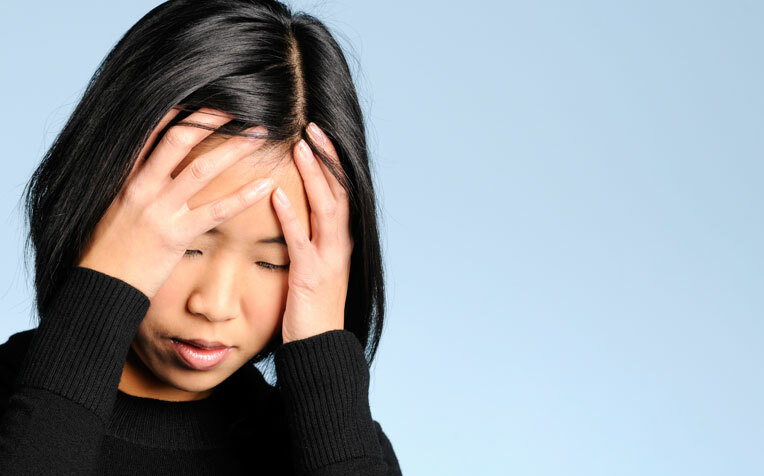 Dr Helen Chen, Head and Senior Consultant at the Department of Psychological Medicine tells you all you need to know about premenstrual dysphoric disorder. Premenstrual dysphoric disorder, or PMDD, is a more severe form of premenstrual syndrome (PMS) affecting about 5 per cent of women in their reproductive years. It is characterised by more significant premenstrual mood disturbance. Symptoms of premenstrual dysphoric disorder include irritability, depressed mood, insomnia, anxiety, as well as the usual physical symptoms. These symptoms emerge one to two weeks preceding menses and resolve completely with the onset of menses. Premenstrual dysphoric disorder results in marked social or occupational impairment, especially in interpersonal functioning. Sufferers often experience irritability and frequent quarrels with their loved ones, or perhaps the need to take medical leave as they are unable to cope with work due to the distressing symptoms. The diagnosis of premenstrual dysphoric disorder is made when the woman experiences symptom clusters for two consecutive menstrual cycles. This requires some awareness and motivation as she needs to chart her emotional state according to her cycle on a diary. There must be a symptom-free period from the onset of menses until the next premenstrual (or luteal) phase. If the woman experiences symptoms throughout her cycle, then it is likely that she suffers from depression. However, symptoms may worsen or be exacerbated during the premenstrual phase. With appropriate treatment, women can expect to be relieved of the symptoms, and return to normal functioning. Women are recommended the same lifestyle changes that benefit PMS sufferers. In addition, most experts recommend the use of antidepressant medications during the symptomatic premenstrual phase, with a drug-free period during the early phase of each cycle. Specifically, selective serotonin reuptake inhibitors (SSRIs) are useful for PMDD, as there is evidence that one of the underlying biological causes of PMDD is a disturbance in the brain’s serotonergic pathways. The SSRIs include medications such as fluoxetine, sertraline, paroxetine, and fluvoxamine. Some evidence suggests that non-SSRI antidepressants may also be beneficial for PMDD symptoms. These include venlafaxine and clomipramine. For women with prominent anxiety symptoms, short-term use of benzodiazepines may be helpful, although caution should be taken as these medications can lead to dependence in the long term. Hormonal interventions such as oral contraceptives and gonadotrophins have been studied, but as these have side effects, they are not generally recommended as first-line treatment for PMDD.